The diamond grit is bonded in dry specification resin and attached to the face of the woven disc. 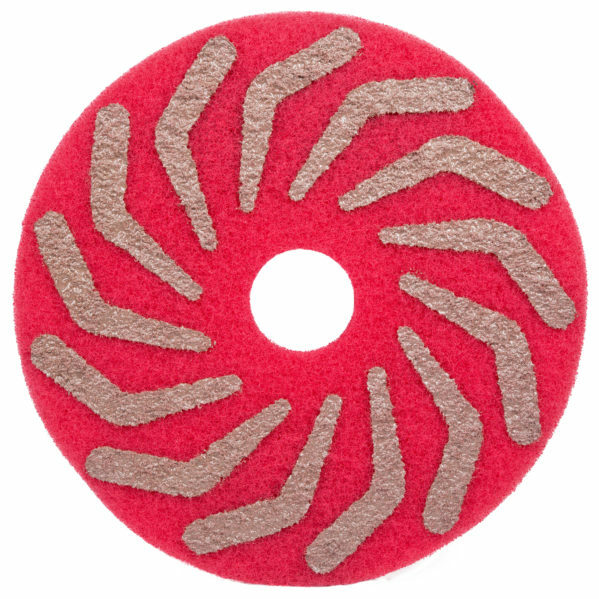 These floor polishing pads are similar to the HTC FENIX pad and are designed to be used dry (if used wet the lifespan is substantially reduced). 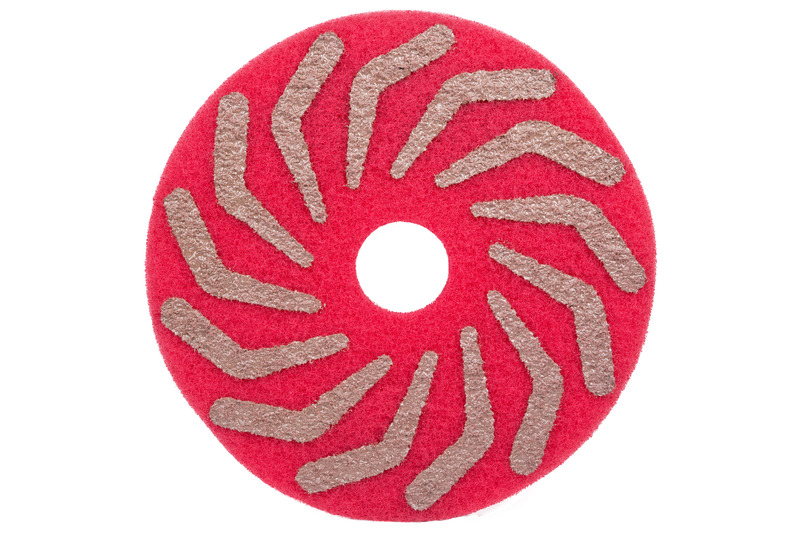 If wet use is required we suggest trying our burnishing pads. A range of grits are available from very coarse 100# all the way up to 5000# for a fine polish. In a word, restoration (although these are particularly good for polishing concrete). To revive previously polished floors. They won’t deal with lippage, despite the fact we offer these in a quite coarse 100 grit, they aren’t miracle pads and are not a replacement for proper grinding equipment for dealing with different heights.